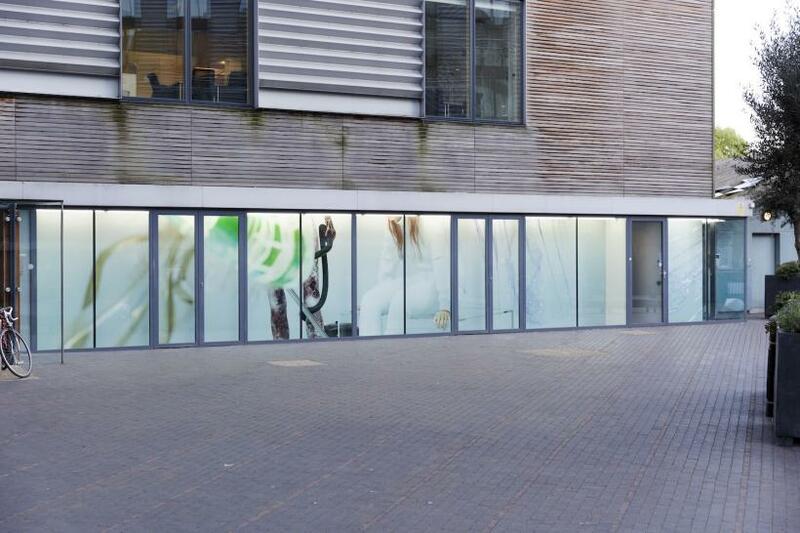 VITRINE’s space, simply an external window with no internal floor space, will be stylistically familiar to anyone who has visited the glazed ground floor retail units of the recently gentrified mixed-use Bermondsey Square. The gallery glass is arranged no differently to how it would have been if a mini-mart had taken over the space instead: in panels, with your sightlines thwarted by industrial metal window frames. 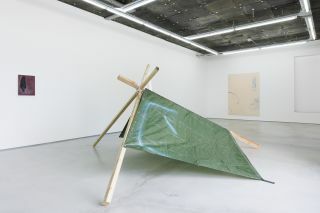 The gallery’s location, with exhibitions viewable all day and night, invites artists to embrace (or at least, to riff on) the neighbourhood’s sterility. 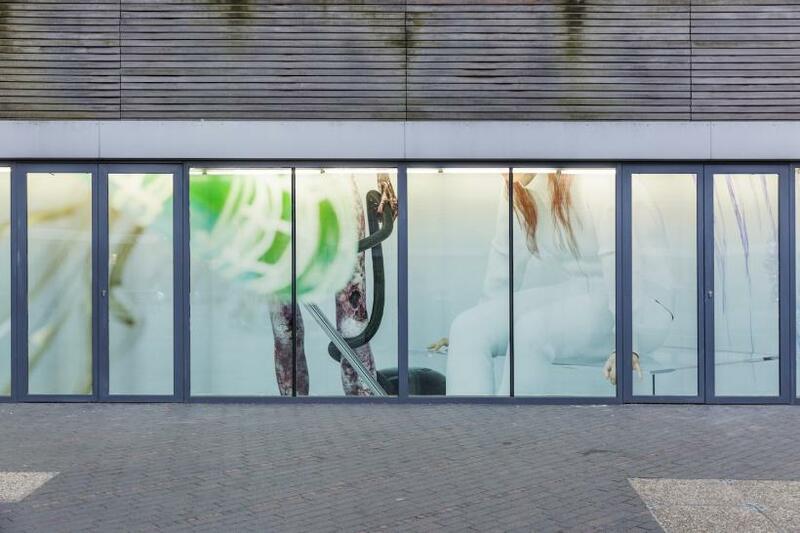 And so, Kate Cooper’s ‘Ways to Scale’ has an uneasy complicity with the gentrified square. 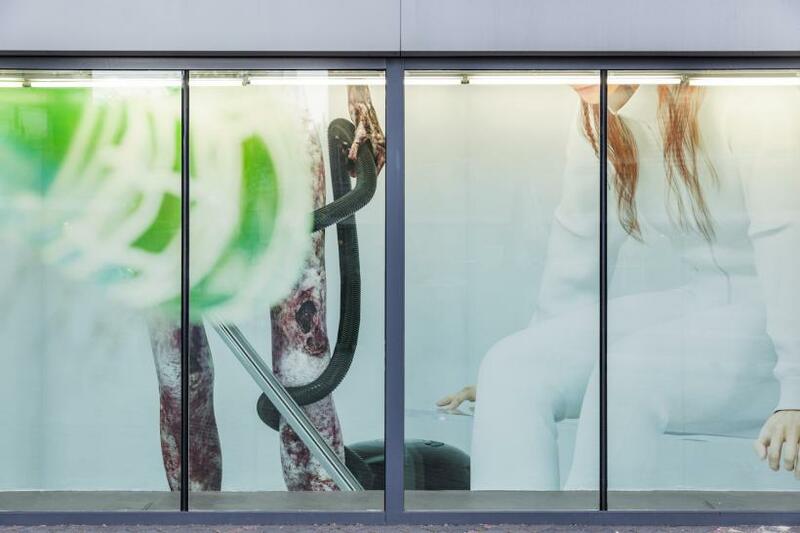 Here, Cooper presents one large glossy image filling the entire vitrine. The narrative aspect of the image is ambiguous, with much of what’s happening not revealed by the framing, but nonetheless we can find a young red-haired woman dressed in pristine white to match the white medical environment, some unidentified tech and the tendrils of a jellyfish. Cooper’s aesthetic is flawless, bloodless, a little WASP-y and extremely privatised. With splashes of a vivid Prozac-green at the centre, blurring out to smooth pastels at the edges, Cooper’s image presents a medicalised calm tempering the gross-out horror of the jellyfish. While there is an airbrushed and idealised glossiness to Kate Cooper’s images, this sheen isn’t the sole focus. 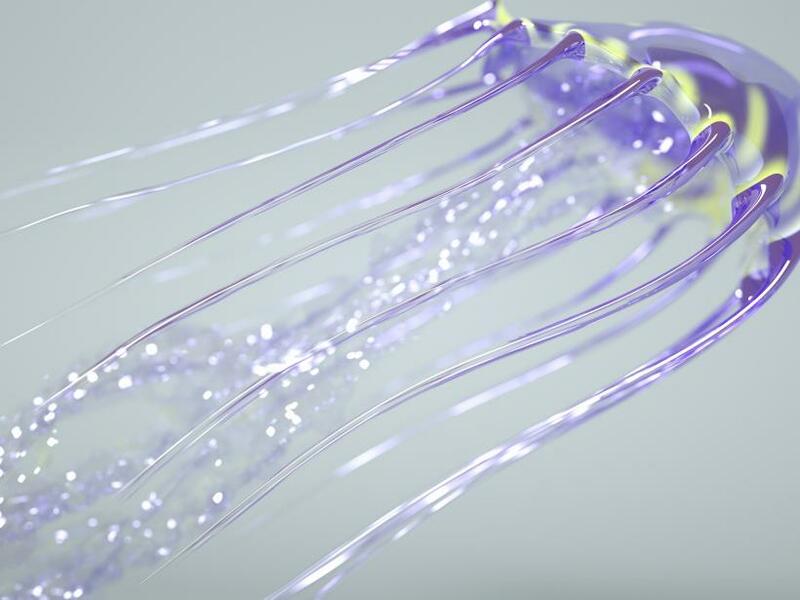 The accompanying text notes a parallel between cephalopods’ ability to alter their own genetic code and the technology which can easily render a CGI jellyfish. Certainly, things with tentacles (in Borges’ fictitious taxonomy of animals, perhaps these are “those that tremble as if they are mad”) are post-internet art’s favourite pets, amorphous forms awaiting whatever symbolism we can load them with. Cooper’s content might not be overtly personal nor explicitly political but nonetheless by presenting the image as a single wall she evokes advertising hoardings and PFI development place-branding. 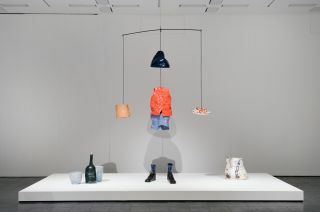 ‘Ways to Scale’ leans into the awkwardness in VITRINE’s ambiguously public-private square, in turn feeding the creeping nausea we might be inclined to feel in such spaces anyway. The production values of Cooper’s work help it to seamlessly become part of the seductive image-world that it borrows from. 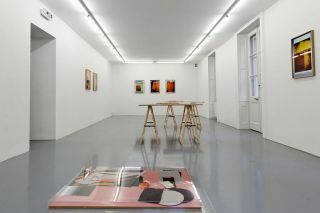 Situated in VITRINE’s unique space, there is an exciting potential for her images to be misread, perhaps as a baffling advertisement for an unspecified product. Increasingly, though, with public art commissions being called on to lend cachet to newly upscale neighbourhoods, this sort of mischevious misreading is being supplanted by people experiencing art in the public realm as reified to the point of meaninglessness – perhaps appreciating that it has been put there for them, without being provided with the space or means to engage with the content. These are the shifting sands in which ‘Ways to Scale’ operates and it does seem to revel in the tension. The moral ambiguity is intriguing but as the world outside is increasingly collapsing and crushing everyone without the means to escape, imagining photogenic pastel dystopias is a privilege we might not collectively be able to luxuriate in for too much longer.